After breakfast, proceed for the excursion to Alleppey backwaters. 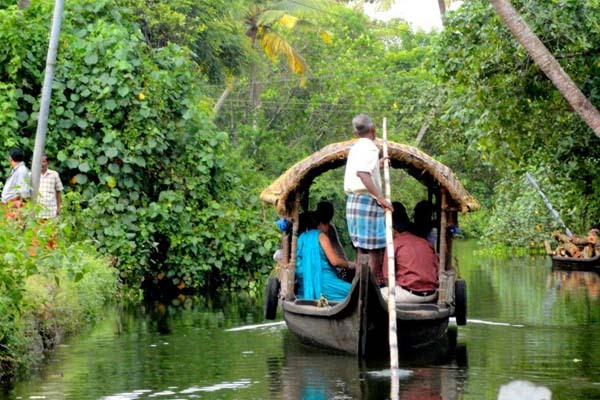 A unique opportunity to experience the beauty of Kerala Backwaters, flora, fauna, Village life through Kettuvallam (Traditional Rice Boat) and country Boats (open canoe) with Traditional Kerala Lunch. Trip covers: Coir Rope making , Toddy Tapping, Village Handicrafts, Mat weaving, Spices and Medicinal Plants etc.